After several years of waiting and hoping, earlier this week Microsoft finally confirmed that the Halo Master Chief Collection – the Xbox One remaster and re-release of all the Halo FPS games, barring Halo 5: Guardians and (previously) Halo Reach – would be coming to PC. After that, the one question on every fan’s lips is: when’s it coming out? We still don’t know a release date, but you can sign up to play Halo MCC PC early. 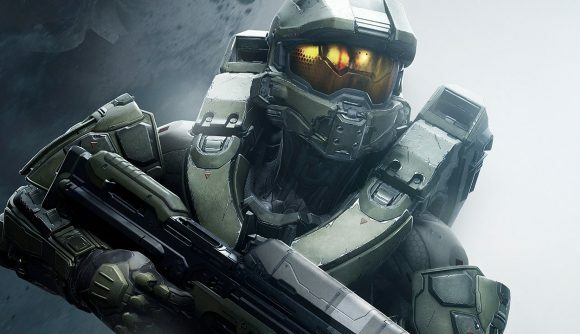 Following the reveal of the Halo MCC on PC, Microsoft and Halo developer 343 Industries promised that more information would be revealed at the SXSW show in Austin this weekend, during the Halo Invitational championship finals. Most people were hoping for the release date of Halo Reach, which will be the first game in the staggered schedule for the MCC on PC – unfortunately, community manager Brian Jarrard would only say that it’ll be “ready when it’s ready”. However, the big reveal instead was the launch of the Halo Insider program, a community-based closed beta program, which fans can sign up for in order to get early access to the Halo Master Chief Collection on PC – including the Steam version. He then explained that the reason they’ve revealed the game, but not a release date, is that they need “to open the doors to the Insider program” in order to get the community playing the game, giving feedback directly to the developers, and making sure the game is polished before it is officially released. “Fans want more than just a port, and that’s really important,” Jarrard explained. “The team are committed to bringing the MCC to PC in the right way… we’re going to do that in partnership with the community.” The PC version of Halo Reach will be the first thing tested, including the Steam version, and that will apparently happen “sooner than people realize”. If you want to sign up for early access to the Halo MCC on PC, head to the Halo Insider website here. You’ll need to provide a dxdiag file and link your Microsoft and Steam accounts to Halo Waypoint. There will also be an AMA on Reddit this coming Tuesday, although if you’re expecting an answer to the question “when’s it coming out?” you’re more hopeful than we are.